The Council of Senior Clerics, affiliated with Egypt’s Al-Azhar, upheld the validity of verbal divorce in a statement earlier this week. The validation came after President Abdel Fattah Al-Sisi suggested changes to the verbal divorce law to grant women more rights by putting in place more official divorce measures. However, the council added in a statement that official documentation should happen swiftly after verbal divorce and that no change is needed. The council that comprises of 22 clerics further hinted in its statement that the only suggested laws in this matter may include imposing penalties on those who postpone the documentation procedure. Egyptian law stipulates that divorces be documented within 30 days. Al-Sisi went on to say that documentation will be needed for couples to reconsider their decision because divorce is a threat to social stability. Muslims have agreed on the legitimacy of verbal divorce since Prophet Mohamed’s era. Muslim men can terminate marriage verbally according to Muslim Sharia law. Currently, Egyptian law allows this, meaning a Muslim husband can finalize the divorce without his wife’s knowledge. Al-Sisi is proposing that a law should require both the husband and wife be involved in the process and to visit a public notary in order to proceed with the divorce. 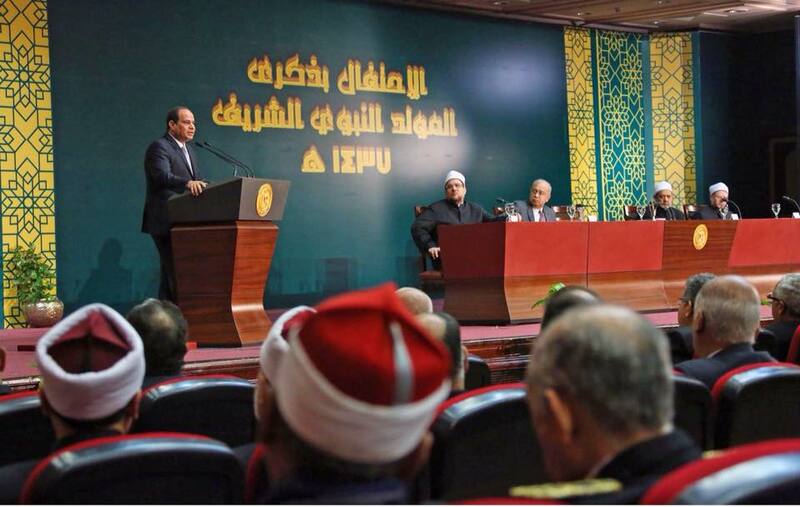 It remains unclear whether Al-Azhar’s stance will influence the parliament’s decision. A bill is currently being drafted by the parliament’s Religious Committee to reform the law regulating divorce between Muslim men and women in Egypt. Divorce is widespread in Egypt, with 199,867 cases of divorce in 2015. According to CAPMAS, an official statistics agency, the rate of divorce increased by 10.8 percent in 2015, reaching the highest level since 1996.